Earlier in the week, I shared a blog post about Santa Maria Latin American Kitchen. I explained how fab it was even though Tilly isn't a spicy food eater. But now we come to Kim, she is child number one and loves her spicy food. It's hard to imagine that I could have two completely different children! So when I asked Kim what she would like for her meal on our Latin American night she asked for the spiciest meal that we had. 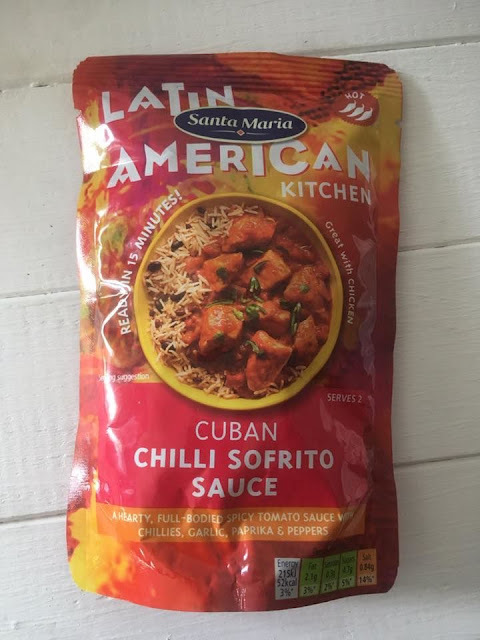 She chose Cuban Chilli Sofrito Sauce, This has 3 chillis on the packet and is one of the hottest within the Latin American Kitchen Range, available at Morrisons for £1.64. Sofrito means lightly fried and is used widely in many dishes across South America, so it made sense to add it to this Latin American Range. Each country has their own way to do Sofritos, with the Cubans using Bayleaf as one of their ingredients. You can also get a less spicy version of Sofrito and It is called Santa Maria Cuban Sofrito Clasico. The sauces are all vegetarian-friendly and Gluten free, so if you have dietary requirements, then this is perfect for you. It also means that Kim can eat the same meals as us because she is a vegetarian. 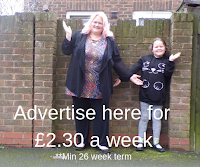 It makes a quick and easy meal, With the vegetarian option, you can use it with Quorn or vegetables. For quickness (and because I had no Quorn) I made the meal for her with frozen veg. Frozen vegetables are often better for you because they are frozen as soon as they are picked, so they stay fresher for longer and are packed with vitamins. I part cooked the frozen vegetables and added the sauce to infuse the vegetables. Then I drained the water and added the sauce, the sauce has a tomato flavour to it, but the best meals are all tomato based! 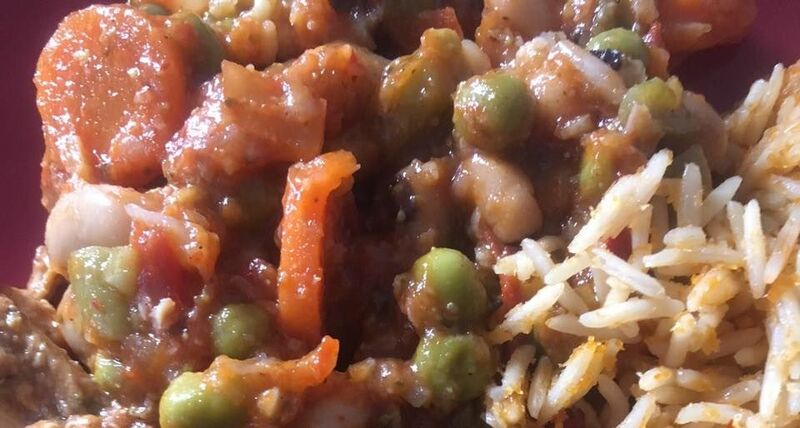 I served the vegetarian Santa Maria Cuban Chilli Sofrito with an equally spicy rice, Arroz Rojo Spicy Red Rice. The rice is plumped up with chilli and mild spices. Kim enjoyed this and for someone who can't cook, I actually felt I had a parenting win. Although it has a 3 chilli rating, it wasn't as spicy as we expected. The sauces are thick and filling and the sachets are easy to open and add to the meal and they don't make a mess as they pour easily. The packets are better to dispose of and they don't take much space in the bin. You can taste the tomato base and the authentic Cuban cooking. 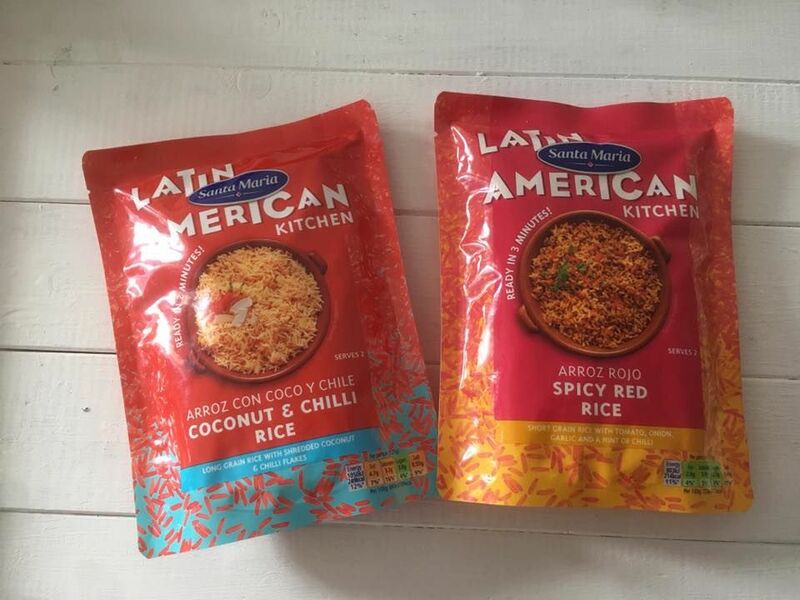 You can mix and match the sauces and packets of rice together to bring you a real South American taste. Your meal is ready within 15 minutes, whether you use it with chicken, fish or vegetables and will feed two people. Because of the foil pouches, the sauces stay fresh for a very long time! All of these foods are available at Morrisons for as little as £1.64. We would definitely buy these again and it saves me cooking from scratch. 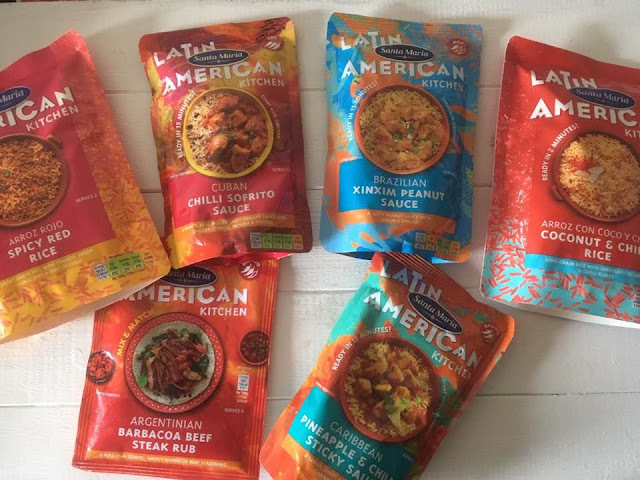 They are perfect for a Latin American night and makes a real change from just a Mexican meal.